FIRECHEMAR-AFFF is an eco -friendly, totally synthetic blend of surfactants and special polymers. The foam creates a physical polymer – membrane barrier between the foam blanket and fuel surface. It is highly effective against hydrocarbon fires and with the addition of special polymers, it is also highly effective against polar solvents. It is highly versatile and so eliminates the need to stock a variety of foam types. It gives a superior burn back resistance and post fire security. 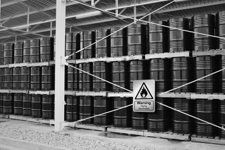 It is used in high risk situations where hydrocarbons (such as crude oil, gasoline, diesel fuel, aviation kerosene ) and /or polar solvents ( such as alcohols , ketones , esters and ethers ) are stored , processed or transported. AR-AFFF is available in three different proportioning types : 1% X 3 % , 3 % X 3 % and 3 % X 6 % . Foam produced by protein foam technology is tough, stable and heat resistant and covers the burning hydrocarbon fuel surface rapidly. The high stability of the foam blanket ensures the risk of re-ignition and provides excellent protection against ‘burn-back’, should any inaccessible pockets of fire remain. FIRECHEM Protein Foam Concentrate’s composition is based on a natural protein foaming agent and contains no harmful synthetic detergent or glycol ether. This is available in two different types : FIRECHEM 3% and FIRECHEM 6 % . FIRECHEM FFFP is a unique combination of a rapid fire knockdown quality of conventional film forming AFFF with a tough cohesive foam blanket based on protein base material, providing high level of post fire security and burn back resistance as a top quality fluoroprotein. FIRECHEM FFFP’s formulation is based on advanced protein foam technology containing hydrolysed protein, fluorochemical surface active agent and preservatives to achieve the maximum synergetic effect. 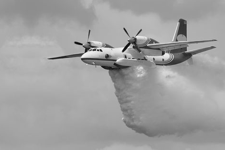 AR-FFFP is multi-purpose natural protein based foam for use on a wide range of both hydrocarbon and polar solvent fuel fires . It contains special hydrophilic polymers producing a thick layer if applied on chemicals. It generates a fast flowing foam resistant against burn back with high insulating protection to heat and chemical destruction, if applied on any kind of fuel. It is suitable with all types of known equipment and is also compatible dry chemical powders. 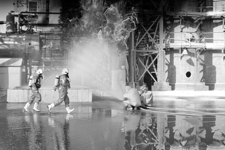 FIRECHEM Foam concentrate can be used with high expansion equipment to combat three dimensional fires where total flooding is the objective such as paint booths , paper ware houses, airplane hangers and mines. The long lasting foam also helps to prevent re-igniting. The large volume of foam produced blankets the area being protected and prevents air from reaching the fire. High Expansion Foam Concentrates are suitable with low, medium and high foam generating equipments. 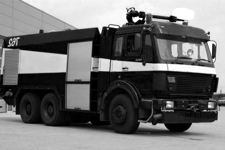 FIRECHEM manufactures a wide range of Class A Foam Concentrates for use in a variety of firefighting applications. 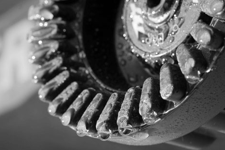 When proportioned with water, Class A foam concentrates change the water properties, reducing the surface tension allowing greater penetration into Class A fuels. A mixture of foaming and wetting agents, our Class A foam concentrates also give water a superior foaming ability so it clings to surfaces with minimal run off, which speeds extinguishment and reduces water usage. 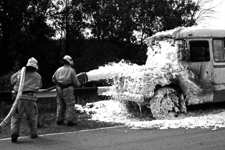 In addition to wild land operations, FIRECHEM Class A foam is effective in fighting many deep – seated fires, such as paper, tires and wooden structures. FIRECHEM has designed the Fluorine Free Foam to control and reduce the volume of harmful chemicals used in foam formulations. Fluorine Free Foam Concentrate is specially formulated to meet the growing demand for environmentally benign training foams. It is completely biodegradable and is available in three different types. The FIRECHEM Fluorine Free Foam is totally free of Fluoro – Organic compounds. Fluorine free foams act as a physical barrier from a combination of surfactants and natural polymers extracted from living organisms. This biodegradable and environment friendly synthetic foam formulations are manufactured for use in live fire training. It is suitable to use with both fresh and salt water. It is functional in any proportioning and generating equipment. The expansion and drainage characteristics are similar to AFFF 3% and low in toxicity; it can be used in sewage treatment plants. 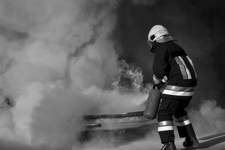 FIRECHEM ABC Chemical Powder is most commonly used for commercial or residential fires. ABC Dry Powder is a multipurpose agent that is based on Mono Ammonium Phosphate. It is a fine solid powder that is yellow in colour and completely odourless. 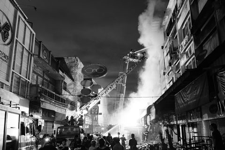 ABC Dry Powder is designed for use against practically all classes of ABC fires. It is ISI marked and is completely nonhazardous and environmentally safe. FIRECHEM BC Dry Powder is a siliconised sodium bicarbonate based dry chemical that is suitable to use on either Class B and C type fires. The application is designed for use against flammable liquid and gas fires. It is available in different grades like :BC -10, BC – 30, BC – 40, BC – 60, BC -80 and BC- 90. 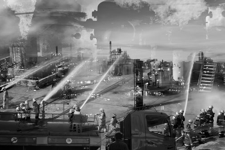 This application is designed for use against flammable liquid and gas fires, is based on sodium bicarbonates. It is generally considered that for powders of similar particle size distribution, those based on potassium bicarbonates are about one and a half times more effective than those based on sodium bicarbonate. This is due to the larger size of the potassium. FIRECHEM Purple K is available in different grades like : KBC -10 , KBC -30, KBC -40, KBC -60, KBC -80 and KBC-90. FIRECHEM FORCE can be used in conventional portable fire extinguishers, wheeled units, fire trucks, fixed installations and powder cannons. It is a preferred choice at all high risk location. It is foam compatible and can be used in powder and foam twin application system. Apparent density of FIRECHEM FORCE is low (0.5-0.6 ) and hence FIRECHEM FORCE required will be 60% charge by weight to fill extinguisher up to the same capacity. TEC is used extensively in industrial processes, engineering and manufacturing in scientific laboratories. It is also used by defence establishments and ordinance factories. It can extinguish small oil fires and can be used for electrical fires. 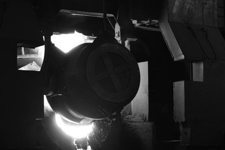 It fuses at temperature of 600 C -650 C and has high latent heat of fusion forming a hard crust on the burning surface. 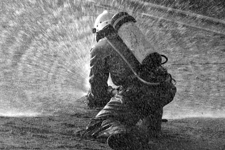 FIRECHEM TEC Powder uses patented technology from Indian Space Research Organisation. This is a Ternary Eutectic Chloride based powder which has been treated with flow and moisture repellant additive. TEC POWDER can be applied gently through a special metal fire extinguisher or can also be manually applied on the burning metal with the help of a scoop or a plastic bag. 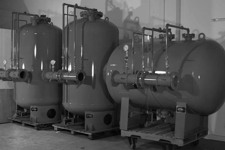 Bladder Tanks are one component in a balance pressure foam proportioning system. It requires no external power other than water pressure to ensure correct operation. 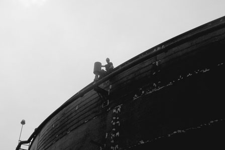 Both vertical and horizontal bladder tanks are designed and constructed in accordance with the latest revisions to ASME code. Proportioning is the introduction of foam concentrate into a flowing water stream to produce a foam solution. 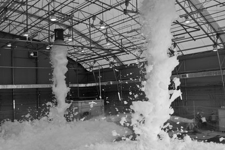 These systems provide a dependable and cost-effective foam fire protection for a variety of flammable /combustible hazard areas and because water is the primary operating medium, they are easy to operate and maintain. 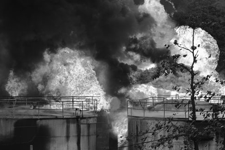 Balanced Pressure Proportioning System when coupled with FIRECHEM Aqueous Film Forming Foam (AFFF ) or Alcohol Type Concentrate (ATC ) is a system specifically designed for the protection of flammable liquid hazard. 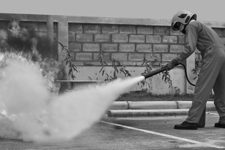 FIRECHEM Foam Chamber is designed to introduce expanded foam directly onto the surface of a flammable or combustible liquid for fire extinguishment and /or vapour suppression. It increases the effectiveness of the foam blanket, resulting in more efficient operation and greater extinguishing capabilities. Classified as Type ll discharge device in accordance with NFPA Standard 11, foam chambers deliver low expansion foam directly onto the fuel surface with a minimum foam submergence and fuel agitation. Foam chambers have the added advantage of directing all their flow directly onto the surface regardless of weather conditions. 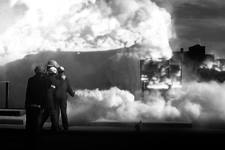 Foam chambers have a long history of timely and safe control of numerous incidents. Handline nozzles provide a wide range of flexible flow control options. Ideal for use with AR-AFFF, AFFF and Class A foam concentrates, our handline nozzles achieve superior foam expansion for quick knockdown and extinguishment. 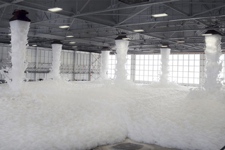 Foam Generators (FCH *-250 are designed to expand foam solution into millions of tiny bubbles in which the foam solution is expanded in volume to a range of 200:1 to 450:1 approximately depending on the generator selected, solution flow rate, foam concentrate and the operating pressure. Free air movement necessary for continued combustion is reduced. FIRECHEM ABC or Multi-Purpose Extinguisher utilise a specially fluidised and siliconised mono ammonium phosphate dry chemical. It chemically insulates Class A fires by melting at approximately 350F and coats surface to which it is applied. It smothers and breaks the chain reaction of Class B & C fires and will not conduct electricity back to the operator. 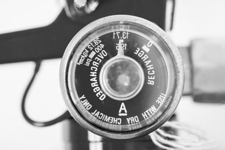 FIRECHEM CO2 Extinguishers units provide the power to respond quickly and effectively by design to protect against Class B ( flammable liquids and gases ) and Class C ( energised electrical equipment ) fires. These extinguishers are well suited for indoor use in furnace rooms, printing presses, pump rooms, electrical power panels and laboratories where wind does not affect discharge. Clean Agent is the most powerful, Eco Friendly Fire extinguisher. 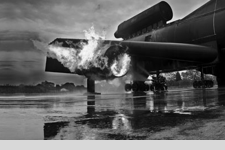 FIRECHEM Clean Agents are designed to control and extinguish a fire in its incipient stage – before it has a chance to spread. Clean Agents are electrically non- conductive and non- corrosive, and there will be no damage to electronics and delicate mechanical devices. This fire extinguisher is suitable for fire of paper, wood, cloth, flammable liquids ( Petrol, Kerosene, Paints ) Gases ( LPG , Acetylene ) & Electricity started. With this you can virtually fight any type of fire. FIRECHEM Foam type extinguisher is used for Classes A & B fires. 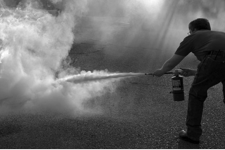 Foam spray extinguishers are not recommended for fires involving electricity, but are safer than water if inadvertently sprayed onto live electrical apparatus. FIRECHEM has two types of Foam type Fire Extinguishers which are stored pressure type and cartridge type. 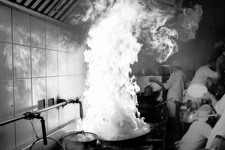 Wet chemical extinguishers are designed for use on Class K/F fires involving cooking oils and fats, such as lard, olive oil, sunflower oil, maize oil and butter. It is extremely effective as the wet chemical rapidly knocks the flames out, cools the burning oil and chemically reacts to form a soap- like solution, sealing the surface and preventing re-ignition. Independent fire tests have established that it is capable of extinguishing a fire in a deep fryer. The extinguisher is easy to use producing a gentle but highly effective spray. The gentle application helps prevent hot oil splashing onto the user. 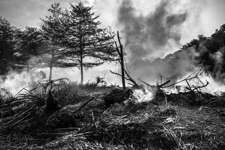 An added benefit is that they are also suitable for use on free burning materials ( Class A ) such as wood paper and fabrics and are also effective on flammable liquids ( Class B ). Basic set of FSD GIRS system consists of a back pack with shoulder straps and waist belts, a tank for holding the extinguishing agent ( foam/water )safety valve, a high pressure air cylinder, pressure reducer, pressure demand regulator and a discharge gun with original trigger operation. FSD GRIS System uses advanced supersonic technology based on the latest flow engineering dynamics which enables the mixing of the extinguishing agent and air to create uniform fine mist. The patented mixing technology creates high quality water mist /CAF at a low pressure of 9 bar at the same time ensuring maximum lancing distance for safe fire fighting. A versatile Flame retardant solution for fire protection of curtains and other loose hung flammable fabrics. In order to apply Flame-O-Guard to a small piece of material to ensure it does not shrink and the dyes are water-fast and does not water mark. In the event of fire, the water-borne Flame -O-Guard -C fire protection coating for electrical cables form an insulating layer which delays short-circuiting and prevents spread of flame, thus maintaining the supply of electricity for a prolonged period of time. 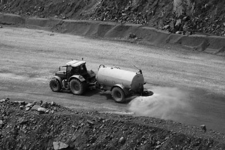 Application of these products not only ensure dust control as required by the mining and environmental laws but in doing so effectively, it may ensure higher productivity and economy of operations. More and more mining projects, powder houses, cement plants, steel plants etc are going in for these products as a total solution to dust problems. 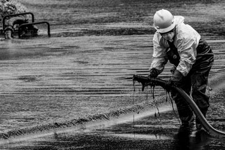 Dispersants can be an effective oil spill response strategy. They are capable of quickly removing significant quantities of oil from the sea surface by transferring it into the water column where it is broken down by natural processes. Significant environmental and economic benefits can be achieved, particularly when other at-sea response techniques are limited by weather conditions or the availability of resources. This chemical is used to reduce offshore oil pollution. These chemicals contain surface active agents ( surfactants ) in a solvent base, which are absorbed at the oil/water interface and lower the inter facial tension. 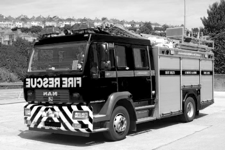 Our water tender are specialised firefighting apparatus designed for transporting water from a water source to a fire scene. 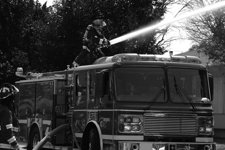 Water tenders are capable of drafting water from a stream, lake or hydrant. Our 25 ton multipurpose tender comes with top end Tata, Ashok Leyland Taurus or MAN chassis. 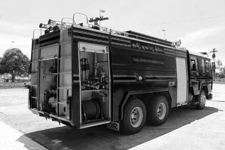 These multipurpose tenders are equipped with 8000-10000 litre water tank, and 500-3000 litre foam tank. Our foam tenders carry the apparatus used to mix foam concentrate with water to make the foam solution and then pump and mix air to solution in order to make foam. It is used to transport and apply the same. 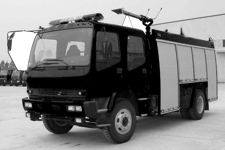 These engines are specifically designed to carry dry chemical (N2) fire fighting equipments. They can be optionally fitted with water tank, and pump system. Our emergency rescue tenders are equipped with specialised tools to mitigate and rescue people in the event of a disaster. 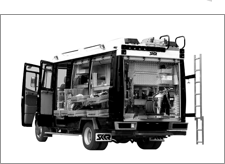 They come pre-fitted with high-capacity generator, flood light, light mast and hydraulic crane and can be used to carry other emergency rescue equipments. Fitted on a TATA – ACE 209, 407, 709 / Ashok Leyland, Cargo / Eicher, Swaraj Mazda chassis, this relatively smaller size tenders houses the compact water mist system. 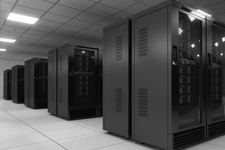 The system specifications for this product can be customised based on the customers’ requirement. 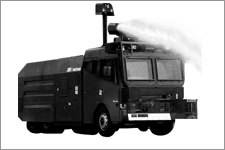 Our water cannons are capable of shooting a large volume of water in a high-velocity stream, over dozens of meters. 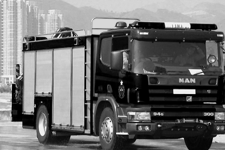 They are used in firefighting, large vehicle washing and riot control. These mechanical devices are used to provide temporary access for people or equipment to inaccessible areas, usually at height. 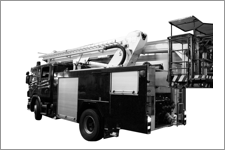 Other than rescuing persons from high buildings, it also helps in high level application of water or foam at a fire, general lifting, floodlighting, bridging, and scene surveillance.